Plastic keyring toy doubles as a rattle. 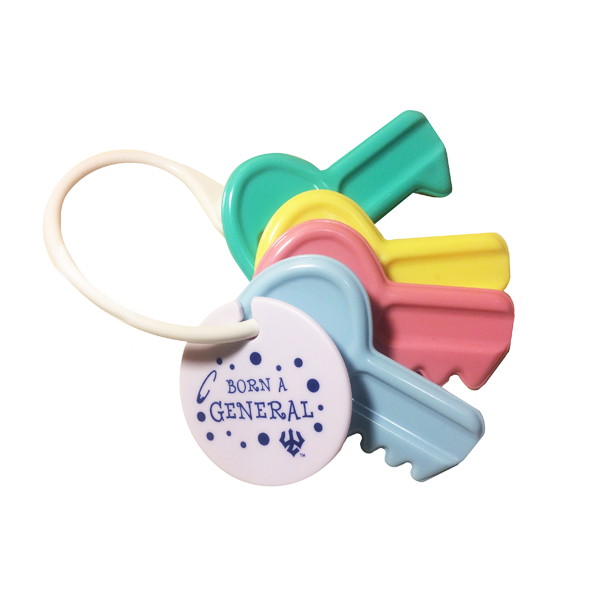 Four pastel colored oversized keys and on a ring with a "Born a General" keyring. Perfect "early encouragement" for any future General.